Hillel Bromberg of Newton was a casual tea drinker, sipping “your basic Lipton, or whatever was available” until he began studying the myriad of varieties and flavor options about a dozen years ago. 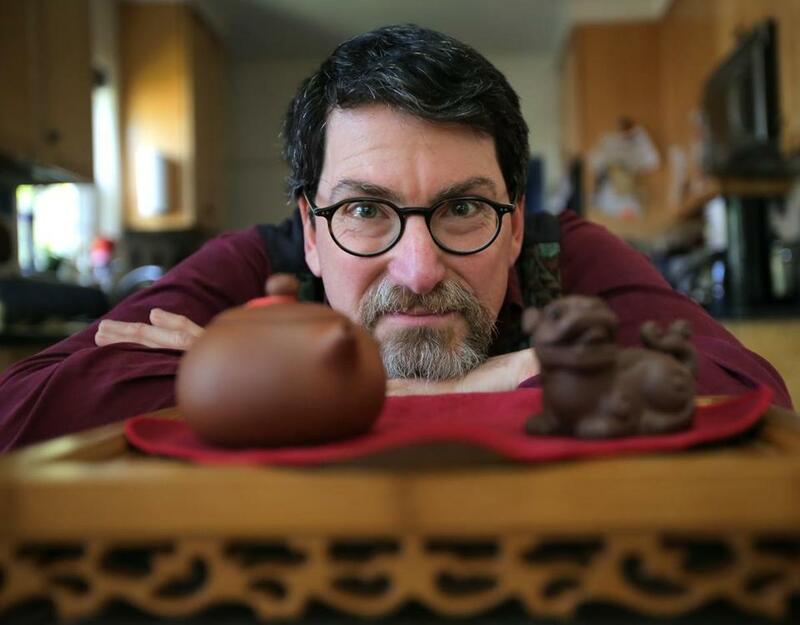 Now the self-described “tea evangelist” is a tea sommelier certified by the International Tea Masters Association and owner of Tea Oasis, through which he shares his vast knowledge in private tea tastings. Q. What happens at a tea tasting? A. It’s a 90-minute presentation where I talk about what tea is, where it comes from, its history, how it’s processed, the differences between the teas, and the health benefits they share. We learn to steep for the perfect cup, and taste teas to get a feel, for example, for how Japanese green tea is different from Chinese green tea. It’s a lot of fun, with a lot of slurping and sensing — not a big lecture. Q. Where do they take place? A. I’ve gone to senior centers and done wellness programs and birthday parties. I’m talking with a museum about using a tasting as a fund-raising event in a private home. I come equipped with all the teas, kettles, and cups. All I need is a place to plug in the kettles and I’m good to go at any social event. Q. Is there an intimidation factor with tea? A. There shouldn’t be, because it’s very easy to go from drinking mediocre tea from a bag to really good loose leaf tea. All you need is a mug, a strainer, and hot water. It’s not that complicated, and the result is so much better. Q. Why is loose leaf tea superior? A. Prepare yourself for a rant. The tea dust in bags is designed to steep very quickly, but the trade-off is it’s very bitter, which is why people add sugar and milk. The larger surface area in loose leaf tea extracts more volatile oils that produce aromas and a whole range of flavors. Also, you can get several steepings out of one set of leaves, which makes it an affordable luxury. Q. How many varieties do you have at home? A. I haven’t counted – I’m a little afraid to – but I probably have 50 to 60 kinds. I’m always trying to figure out how to get rid of food in the cupboard to make more room for teas. For more information, call 781-258-0124 or visit teaoasisboston.com.